"I worked with Joel to purchase my brand new townhouse. Joel is a great realtor I would highly recommend even to my Mom ;). He is experienced, super knowledgeable of the market/property values, patient, not pushy, always calm and he listens! Joel is not pushy as he wants his clients to feel comfortable, heard and completely comfortable with their purchase. It took me on and off 5 years to finally buy, due to unplanned life events. Yet Joel, was there when I needed him and gave me room when I had to pause over that time frame. He is the best of the best! I am thrilled with my new home and the amazing deal he got for me!" "I have worked with Joel on two separate occasions. He helped me find and purchase my first home several years ago, and recently helped me sell that home and purchase a new construction home. Joel and the team at Necklen & Oakland did an amazing job helping us prepare and stage our home for sale, working with us on the pricing strategy during a difficult market, and ultimately selling our home in a timely fashion and within the price range we had planned. I would recommend Necklen & Oakland to anyone without any hesitation." "I have worked with Joel each time we have sold or purchased homes over the past 10 years. He has always been very helpful and extremely knowledgeable about the Maple Grove area, neighborhood comps, and what the key selling points are for the home. This allowed for a clear listing strategy and the end result was the sale of our home at a price we were very happy with. 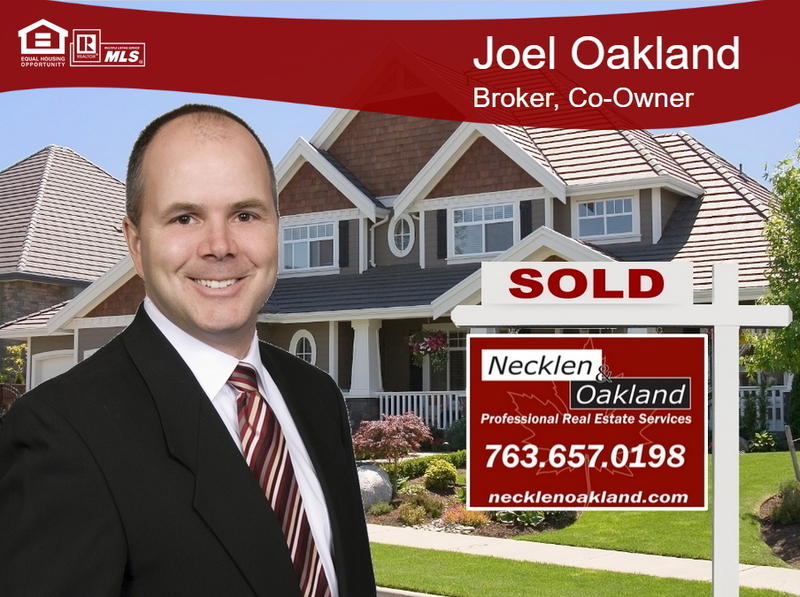 I would highly recommend Joel and the Necklen Oakland Real Estate group to anyone looking for a top of the line house buying or selling experience." "We have worked with Necklen & Oakland, and they do a wonderful job serving their clients. They are very attentive and service oriented and always go above and beyond. If you want your home sold this is the team." "I've worked with both Glenn and Joel on client purchases of first time homes to 800k values. The feedback I get from their clients is amazing. They are honest and will be on top of the sale/purchase until the end. They have a great presence in the Maple Grove area and know the market well." "I have known Joel and Glenn for many years. They are true professionals in the real estate business." "Being a smaller locally owned company they have a strong knowledge of the Maple Grove area and community that is beyond comparison. They are responsive, tech-savvy, and professional. They also provide tons of online marketing, making listings easy to find online. Joel and Glenn are straightforward and honest and respond quickly to questions and concerns via phone, text, and email. They are a great group to work with, I would highly recommend to all of my family and friends!" "I am not sure if there is any other real estate service company I enjoy working with more than Necklen & Oakland. Great people, friendly, personable, knowledgeable and always spot on with their tasks and keeping me well informed as we progress through the closing process. You are not just another number when it comes to working with them and to boot they are the best business! 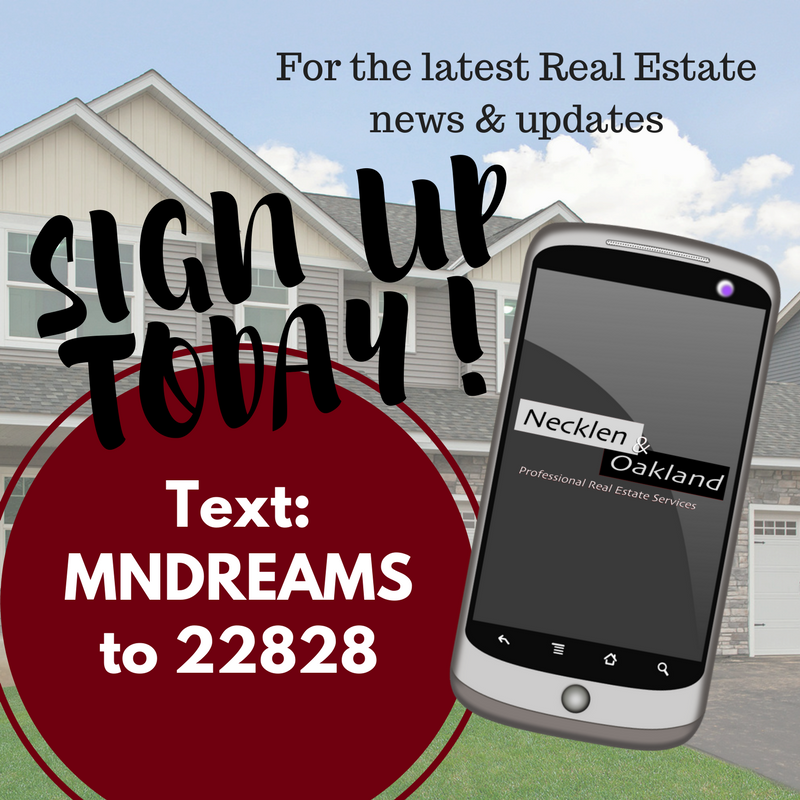 The owners Glenn and Joel run an exceptional company and the whole Necklen & Oakland team are not only great to work with but they make the home buying process fun & exciting." "I give the professionals at Necklen & Oakland my highest recommendation. If you are looking to buy or sell a home in the Twin Cities...hire the best team. They fully understand what it takes to sell your home and advise you through every step. I sold my House the very first day it was listed. They also helped me through the entire closing process. Kind Regards, Paul from Shakopee, MN "